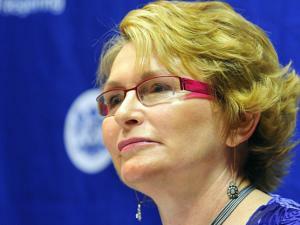 Western Cape premier Helen Zille on Thursday accused the ANC Youth League of fomenting unrest in the province. “I have very little doubt that all of the violent disruption was directly linked to the ANC Youth League's call (to make the Western Cape ungovernable),” Zille told reporters in Cape Town, after the league marched in the city for better service delivery on Monday. Zille said residents of poor areas had routinely told her they were visited and told to vandalise property. She and others, including security agencies, had handed evidence to the police, but there was a reluctance to charge members of the league. “There is a selective application of justice sometimes in this society. “I don't think the president is going to say anything about the ANC Youth League in the run-up to Mangaung. I think a lot of this is about Mangaung, and obviously it is about 2014,” she said referring to the ANC's elective conference and the next election year. Zille said the league was trying to step into a leadership vacuum in the Western Cape, and targeting the Democratic Alliance administration to draw attention to itself. “It is about the big internal battle in the ANC, and they can't make their name trying to fight each other, that's why they take on Zille. That's why they are marching. It's all about 2014 and all about Mangaung. Zille insisted she would not meet the youth league unless it withdrew its threat to make the province ungovernable. “I have made it clear that as soon as the ANC Youth League withdraws its threats to make Cape Town ungovernable, I will come and meet them. Zille called the media briefing to rebut the league's allegations that the DA administration did not deliver to the poor.